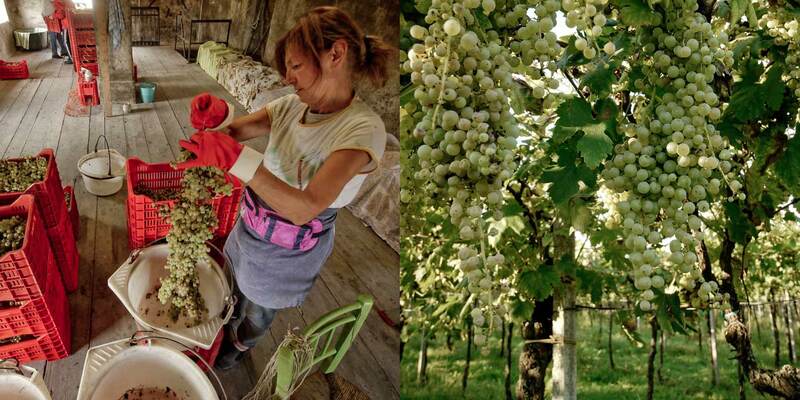 As the son and great-grandson of winemakers, Stefano Menti has rediscovered the delicate touch and the joy that only comes from making natural wines on the family vineyard. Someone once said that you can fight your own fate, but more often than not, it is a waste of time. The fate of Stefano Menti, who was born in 1979, was the vineyard planted by his great grandfather in the late 1800’s in Gambellara, the land of white volcanic mineral earth, Recioto and Vin Santo. However, Stefano, who at the age ten was already driving the tractor and helping his dad with the harvest, left home to travel around Europe, before his personal odyssey brought him back to the family vineyard in Gambellara, which is home to a mixture of Garganega, Torbiana and Durella vines. Not only did he come home, but he also chose to revolutionise the work done by his father by implementing organic and biodynamic practices. In 1998, his journey takes him to Spain, with the sparkling lightness typical of new graduates, where he meets Katerina, a young lady from the Czech Republic and it’s as if a meteor collides with his fate. Stefano goes back in Gambellara, but lightning is lightning, and meteors are meteors and in the year 2000, he joins Katerina in Plzen, drowning out the call of the family vineyard by working for a mineral water company. Instead of making wine, he drinks it, choosing only organic and biodynamic wines, not to follow the fashion but out of respect for the environment. However in 2002, he is called back home to Gambellara. Business is not going well, and Giovanni his father needs his son to help him run the vineyard, and being a loyal son, Stefano goes back home to help his father, putting the meteor on stand by. The best advice that can be given for anyone who decides to work in the vineyard is to make a wine that does not follow trends but that has its own individual characteristics, its own personality. Why? Because the worst thing that can happen to you if you don’t sell it, is that you have to drink it, and at least it will be the wine that you chose to make, a wine that means something to you. Stefano began his new adventure with this ideology: no more of the conventional agriculture practices used by his father that hadn’t changed since the seventies, he went back, and returned to the methods used by his great grandfather. It is essential that the fruit is as pure as possible. 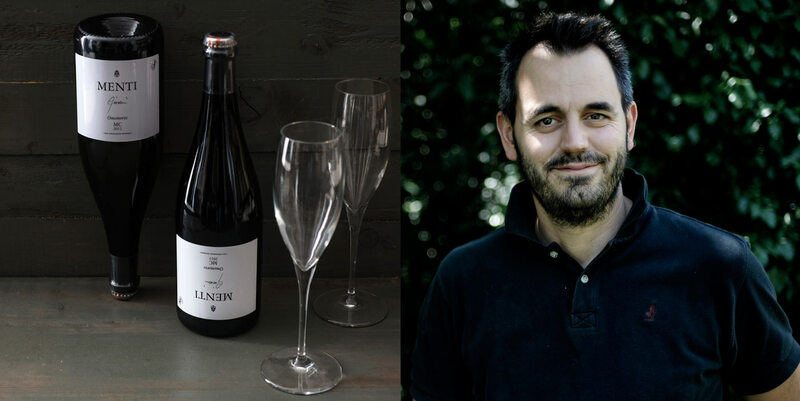 His hard work and dedication start to gain recognition and in 2004 the Menti winery is certified organic, which is followed ten years later by the biodynamic certification. His biggest satisfaction comes from the excitement of those who taste the wine, and the many phone calls he receives from people who want to compliment him, because Stefano’s skill and passion expresses itself in the wine itself. Giovanni, is proud of his son who successfully turns his ideas into a success. Watch the video on how to “degorge” the Menti Omomorto sparkling wine. Now, the Menti vineyard has seven hectares of vines, including the Omomorto vineyard where the Durella vine is grown, a vine that is perfect for sparkling wines. As per tradition, towns give their names to the wine, the Omomorto Metodo Classico is the pride of the family, with the label on upside down because the bottle has to be stored with the neck facing down, so that the wine can immediately get rid of the foul-smelling yeast upon opening. A process that is usually done in the winery before a wine is put on the market, but in this case that Stefano wants done exactly the moment before you drink the wine, so that the wine can be enjoyed expressing the best of its unique characteristics. In one way or another, fate wins and we discover that even meteors can change course. In doing so, one in particular lands in a vineyard in 2006, and since that fateful day, Katerina and Stefano live happily and contentedly on the family vineyard.